We have a specially formulated treatment process for pet stain removal that will get rid of the stain and minimize odors at your home in Winston-Salem. 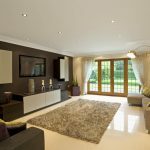 At Steam Source, we find that many homeowners attempt pet stain removal with products from their preferred pet store, or even regular household products that could have a negative effect on your carpets and furniture. 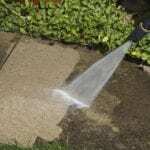 While these products may offer some success at removing stains or masking odors, they may not always completely get rid of the problem. When a pet creates a mess on your carpet, it soaks through the top layers into the carpet backing, and potentially even into the carpet padding underneath. Without the use of professional cleaning equipment and solutions, it may be nearly impossible to truly remove pet stains and odors altogether. The good news is that we have a specially formulated treatment process for pet stain removal that will not only get rid of the stain, but also minimize odors and protect your carpet and upholstery. At Steam Source, we understand that pets are an important part of your home, and we also understand that accidents happen. 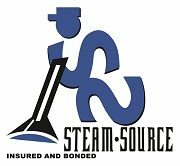 If you need help with pet stain removal in Winston-Salem, North Carolina, make your next call to us at Steam Source! We look forward to working with you! 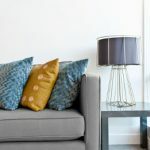 At Steam Source, we offer pet stain removal services in Winston-Salem, Greensboro, Kernersville, Clemmons, Advance, High Point, Mocksville, Pfafftown, Jamestown, Oak Ridge, Summerfield, Lexington, King, Walkertown, Colfax, Lewisville, Welcome, Bermuda Run, Thomasville, Yadkinville, and Walnut Cove, North Carolina.